Erika & Jared » Blog Archive » Our new car…Road Trip!!! 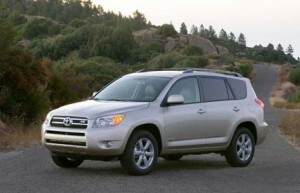 September 7, 2011 - 1:47 pm Comments Off on Our new car…Road Trip!!! After having a number of problems with our Endeavor we finally were able to sell it. Happy Day!! So we needed to purchase a new car, something that would be good for kids and that can handle the canyon. After being a one car family for about 2 weeks we found the car we wanted but it was in Ohio. We arrived in Columbus Friday evening and picked up our “new” Rav4 Saturday morning and then we were off on our adventure. A good friend recommended a deli in Columbus that we thought we would try. When we got there there was a huge crowd and we both were interested in the same sandwich, a pastrami and corn beef with coleslaw on rye. Jared suggested that I try another sandwich and we would “share”. That sandwich was so good that Jared did not want to share, but I was able to get a few yummy bites. 🙂 There pickles were amazing and we ended up going back in to purchase a dozen more to bring home with us. So if you are ever in Columbus you must try Katzinger’s Deli!!! The next 3 days we traveled through Ohio, Indiana, Illinois, Iowa, South Dakota, Wyoming and finally back to Utah. 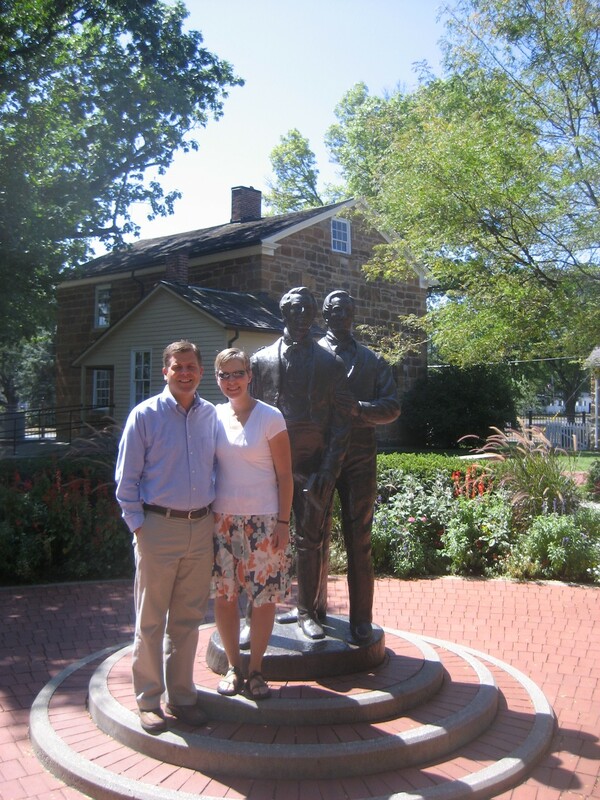 We spent a good portion of Sunday visiting Carthage and Nauvoo and would love to go back and spend more time there. We also stopped at Mt. Rushmore. 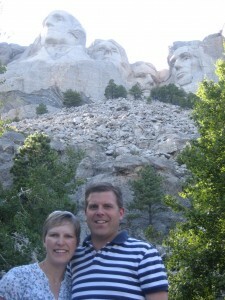 It was amazing to see the presidents carved into the side of the mountain and learn about the history and the artist. On the way through Wyoming we stopped and spent some time hiking to Martin’s Cove where the Martin Handcart company stayed during an incredible snow storm. It made me realize what great sacrifices were made by the early pioneers and what trials some of these faithful saints endured. It was well worth the stop. All in all we had a great trip and would happily do it again – and we love the new car!